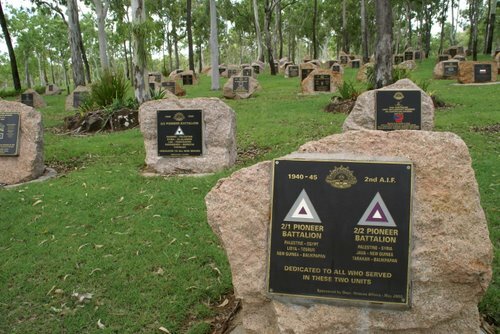 There are two rest areas on the Atherton Tablelands with flush toilets, picnic tables, and BBQs. They are Winfield Rest Area and Rocky Creek. Sadly, this is no longer allowing overnight parking, but it makes for a nice day time stop over. 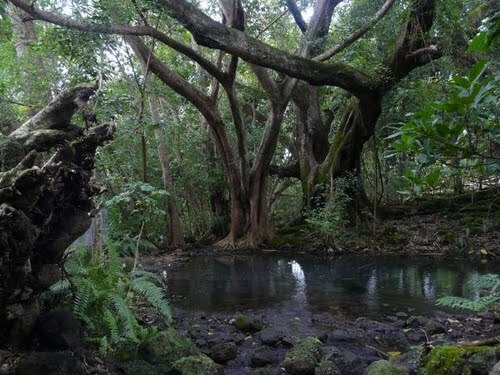 Located just outside Malanda on the banks of the Johnstone River, the site has undergone some native tree replanting, so by now they might be providing a lot of shade. There are platypuses in the river, but they are shy creatures. For the best chance of spotting them, sit quietly on the banks at dusk or dawn and wait. There is no tent camping, only campervans and caravans (self-contained) camping on a first-come first-served basis. See its location Google Maps. 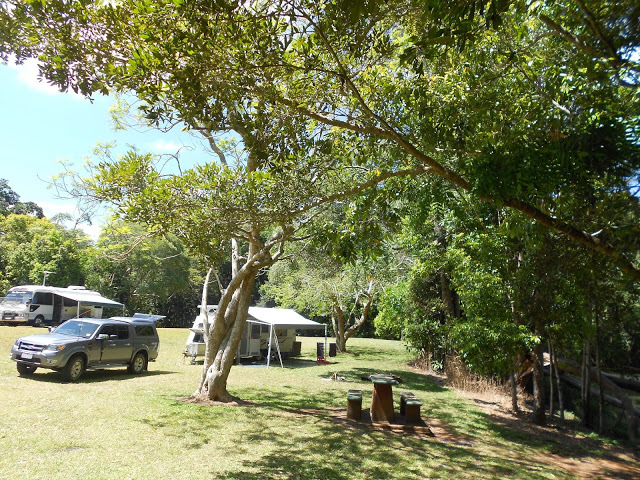 Located between Walkamin and Tolga on the Atherton Tablelands is this large, shady and grassy rest area suitable for caravans and campervans (no tents). It is beside an outdoor war memorial and within easy walking distance of tranquil Barney Springs. Both are worth a visit. It used to be by donation, but now there is an onsite caretaker and a $5 fee. See it on Google Maps. Pets are allowed under certain conditions (Keep on leash at all times. No aggressive dogs). To see other campgrounds and places of interest visit the Wooroonooran Blog Map. Rocky Creek has a caretaker now and a $5 “donation” per night that is compulsory. Also onlyallowing campers that are self contained. Winfield rest area now states no overnight parking. Thanks for letting me know, Chris. I’ll update my blog article to reflect the changes. Happy travels!